The C2 Broadband Amplifier is a low-noise current amplifier with an analog bandwidth of 2 GHz and a gain of 40 dB. Its gain, speed and radiation hardness are optimized for use as a front-end amplifier for diamond beam loss monitors. It is sensitive to single MIP particles. 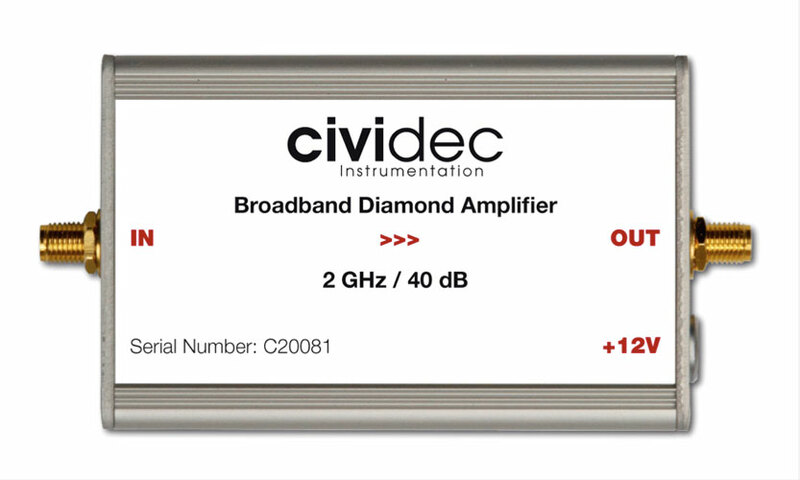 The C2 is an ideal high-gain amplifier for beam loss monitors. The C2 Broadband Amplifier is used for the read-out of the Diamond Beam Loss Monitors at the LHC at CERN, Geneva/Switzerland. They are used for machine protection purposes for beam loss diagnostics on a bunch-by-bunch basis. The Figure shows bunch-by-bunch losses, measured in the collimation area of the LHC, where the C2 Broadband Amplifier withstands highest radiation levels.